Are you new to St. Anthony’s? Or do you want to learn more about our Parish Community? 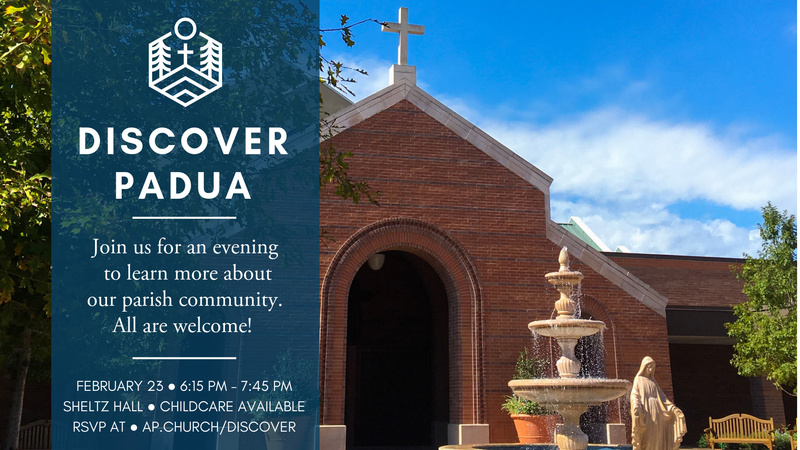 Come join us for Discover Padua, an evening to learn about how you can get involved in our Parish and meet some of our staff and volunteers. There will be light refreshments and childcare will be available.